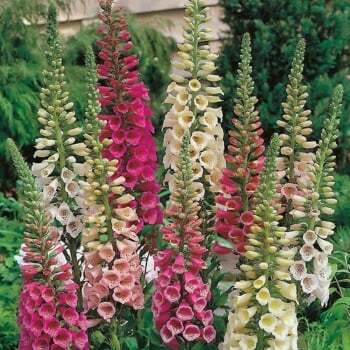 These Mr. Fothergill's foxglove foxy mixed seeds from Ruddick Garden Gifts are a compact foxglove ideal for smaller gardens. If sown early they will flower the first year. This hardy perennial will grow to 36" in height and you get approximately 1000 seeds per pack. Caution TOXIC IF EATEN.